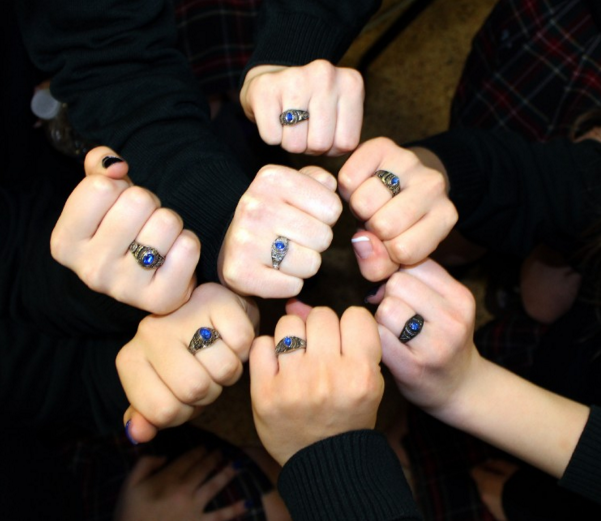 On Thursday, March 3rd, the junior class received their school rings in the annual Junior Ring Ceremony. The ceremony happened during the school day so the entire school could be there to support the juniors, and some family members were also able to attend. The class placed their orders for their rings back in the fall and on March 3rd, the girls finally received their rings. 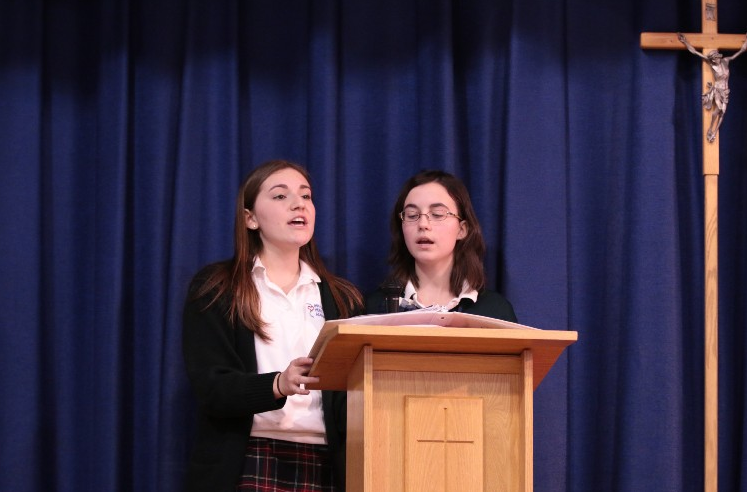 The ceremony happened after a junior-led liturgy, featuring a welcoming address from Junior class president Sophia Hernandez, Kelly Murphy as a cantor, Julia Scher and Catherine O’Toole as altar servers, Dina Mulroy as lector and other juniors involved in other parts of the mass. The priest then blessed the rings and then the class was ready to receive them. 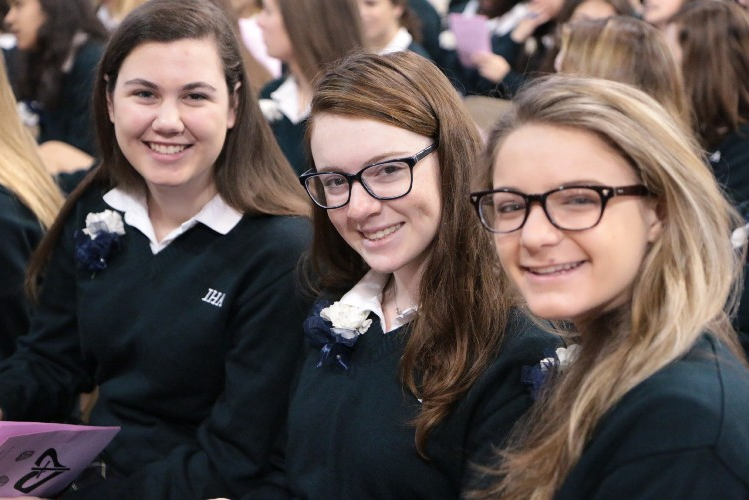 The girls who chose to get rings were called forward and had the traditional ribbon cut off their fingers by the class president and vice president and then they were presented their ring by IHA’s principal, Ms. Molloy. After the ceremony was over, the girls and their families were invited to a reception in the cafeteria. Pictures were taken, snacks enjoyed, rings were turned as per tradition, and the girls had time to bond as a class. It was a huge milestone in their high school careers and we congratulate all of them on officially being marked as upperclassmen.